Luckily (at least for some of us), winter time is over. Yet, if you happen to live in the northern climes and there’s still a snowy mood outside, there might be something that will warm (and melt) your heart. 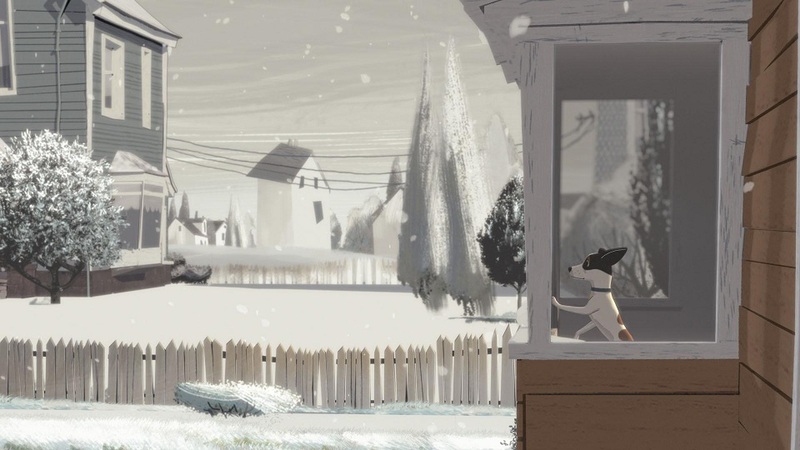 Meet Lucy and George, two best-friend dogs who, sadly, get separated by icy circumstances… But not for long, once Morton Salt‘s Safe-T-Pet new ‘ice melt’ products enter the scene. 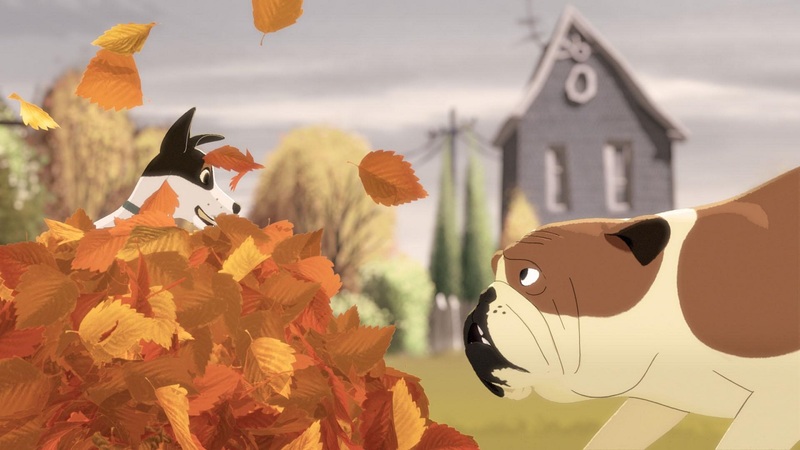 Created by Blacklist and Studio AKA, the charming video about the two dogs will thaw your still-frozen feelings. 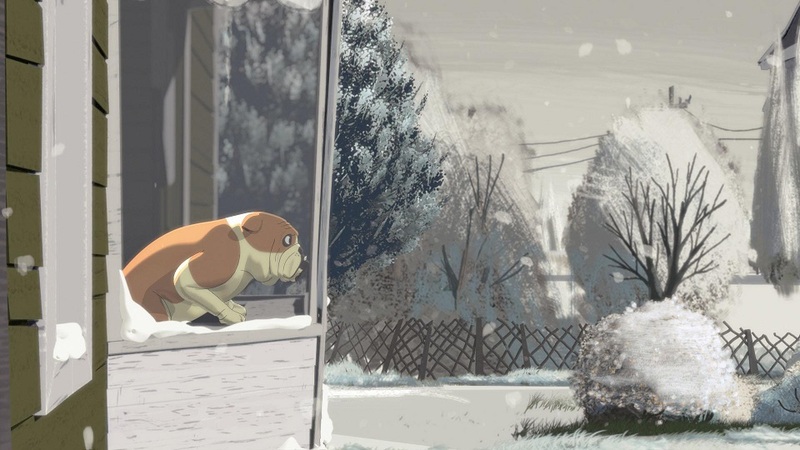 Directed by AKA’s Marc Craste, with nostalgia-tinged art direction from Olga Stern, and containing characters designed by Steve Small, the 90-second spot titled “Neighbors” gives us a dog’s view of the winter hardships and how this time of the year also affects our fluffy pals and, especially, their friendship. During this week’s #ThrowBrandThrusday you are invited to watch one of the sweetest stories ever told about salt. As ironic it may sound, if you ask us, it even tops the Tulips and Chimneys’ video for Cerebos, which introduces little Mpho starring in “Snow”. The ad shows the little protagonist surprisingly playing with salt as if it were snow. Today’s short video will definitely bring emotions and warmth into your hearts. 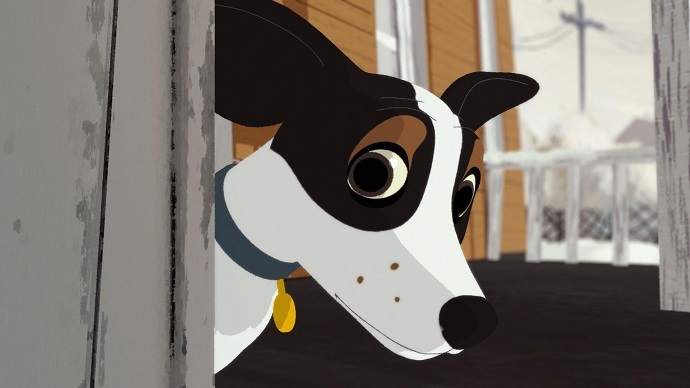 It is a classically-animated cartoon with a kind storyline that features two neighboring dogs. They love to play together, but as winter comes, they are forced to stay apart. During the cold season, the unfriendly rock salt and deep snow keep them away from each other, as it gets quite difficult for them to cross the salty yard and meet up. But just when it becomes quite hopeless, when they really can’t go on one without the other, things start to look up thanks to Morton Salt and its unique pet-friendly product. The brand came with a new item that allows the two friends to reunite even though there is salt spread out all around the sidewalk. Thank heaven, it is just Safe-T-Pet ‘ice melt’, which doesn’t harm paws of the two furry pals. 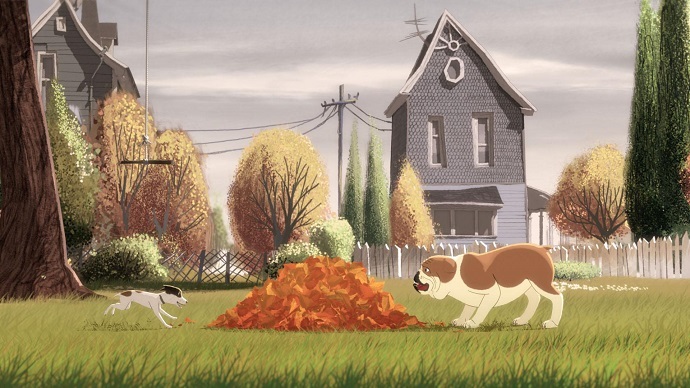 The film cleverly blends CGI and painted backgrounds, with hand-drawn stills created by AKA’s team of animators and assistants. This gives the protagonists and the other characters an extra warmth and likability. Everything nicely concludes with a musical note designed by Antfood, which adds a pinch of nostalgia thanks to creative audio studio’s expertise. Still, the sounds manage to keep the film within a contemporary tone. You might be entitled to believe that a salt advertisement would be just bad. But not this one. You can almost feel the joy that abounds with the spirits of the two puppies. Yet, if this ad hasn’t convinced you that a salt spot can actually be amazing, then you should give it a second thought. Remember that ad that Morton Salt Inc. did a while ago with the American rock band OK Go? You don’t? Then let us enlighten you: Back in 2016, the brand wanted to raise awareness for its charity, so it joined hands with the silly band and recorded “The One Moment,” a video that concludes in just 4.2 seconds. What you actually see is the slow-motion footage that was recorded to demonstrate that it only takes a moment to fulfill the world with more brightness. We can’t just pick one of these spots as our favorite. They are both equally good. But now that you are aware of both ads, please, let us know which one you think is better suited for a salt commercial? Which one is the winner in your eyes? Let us know your opinion by sharing it in the comment section below!